Want More Business? Form a Networking Power Team! A focused networking strategy should be central to any entrepreneur or sales professional’s overall approach to the market. 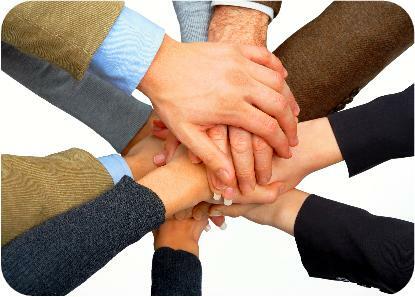 One of the most effective components to a networking strategy is developing a Power Team. What’s a Power Team? It’s a group of businesspeople in your network who have a symbiotic relationship because they sell to the same customers, but don’t take business from each other. This group of people agree to form a team that will work to bring referrals exclusively to each other. An example of a networking Power Team would be a wedding planner, photographer, and florist. Another would be a real estate agent, mortgage broker, and title company. To form a Power Team do two things. First, get a sheet of paper and brainstorm the “kinds” of businesses that would be synergistic to yours. If you’re a personal trainer obvious options are nutritionists, physical therapists, life coaches, etc. Brainstorm as many possibilities as you can. Second, make a point of “prospecting” potential Power Team members in each of those business categories every week. If I were a web designer, for example, I would call on a banker making small business loans each week until I found a good match. Meet with the prospective team member and cast your vision for forming a networking relationship where you exclusively refer business to each other. Working with a networking Power Team can dramatically drive up your referrals, which as we know, are the highest quality leads we can get. Once you have established a relationship with a new Power Team participant, here are ten questions to ask that will help you develop the greatest number of referrals for each other. 3. What separates you and your company from your competition? 6. What have you found to be the most effective strategies for promoting your business? 7. If there were anything about your business or industry you could change, what would it be? 9. What’s your biggest challenge at the moment? 10. What type of customers are you looking for? How will I recognize a good prospect for you? RESULTS STEP: Make your list before you go to bed tonight. Call on someone from one of the business categories tomorrow.